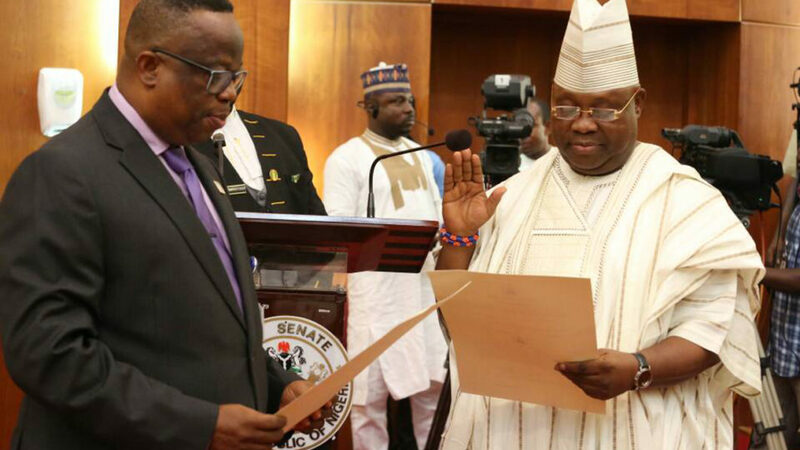 Below are the one year achievements of Ademola Adeleke as Senator of the Federal Republic of Nigeria. 1. 250million Naira full scholarship scheme dedicated University degree programs for 50 Students from the 10 Local Government Areas of Osun West Senatorial District. 2. 75million Naira full scholarship scheme for 15 students from other parts of Osun state outside of Osun West. 3. Provision of Power Generating set to the Abattoir operators of Iwo town. 4. Provision and installation of one 500kv Transformer at Oke-Ibukun Community, Ido-Osun, Egbedore Local Government thus restoring electricity to the community after 7months of total black out. 5. Provision and installation of a new Transformer in Oke-Awere Community. 6. Provision and installation of a new Transformer in Owode, Oke-Ogberin Community. 7. Provision and installation of a new Transformer in Ayetoro- Agbale Community. 8. Provision and installation of a new Transformer in Darul- Taoweed Community. 9. Provision and installation of a new Transformer in Aiyedun Community, Ikire. 10. Provision and installation of a new Transformer in Surulere Community, Ede. 11. Provision of solar powered street lights Popo Area in Ikire Irewole Local government. 12. Snail farming training for 150 youths with provision of start up capital for the participants. 13. Computer literacy training 100 Teachers and provision computer accessories. 14. Complete renovation of Four blocks of Eleven Classrooms at Agbale Grammar School, Ede, Ede North Local Government. 15. Rehabilitation of three Classrooms at CAC Grammar School Ede South Local government. 16. Rehabilitation of two blocks of nine classrooms at Orile-Owu Grammar School, Orile-Owu in Ayedaade Local Government. 17. Constructions of one block of two Classrooms and an office at Igangan high School, Igangan Community Grammar School, Alajue, Ayedire Local Government. 18. Construction of one block of two Classrooms and an office at Community Grammar School, Alajue, Ede South Local Government.